A puppy born with his front paws facing up instead of down and unable to walk is recovering after surgery at Oklahoma State University’s Center for Veterinary Health Sciences. Dr. Erik Clary, DVM, Ph.D., DACVS, associate professor of veterinary clinical sciences, is delighted with the progress of the 10-week-old dog named Milo. 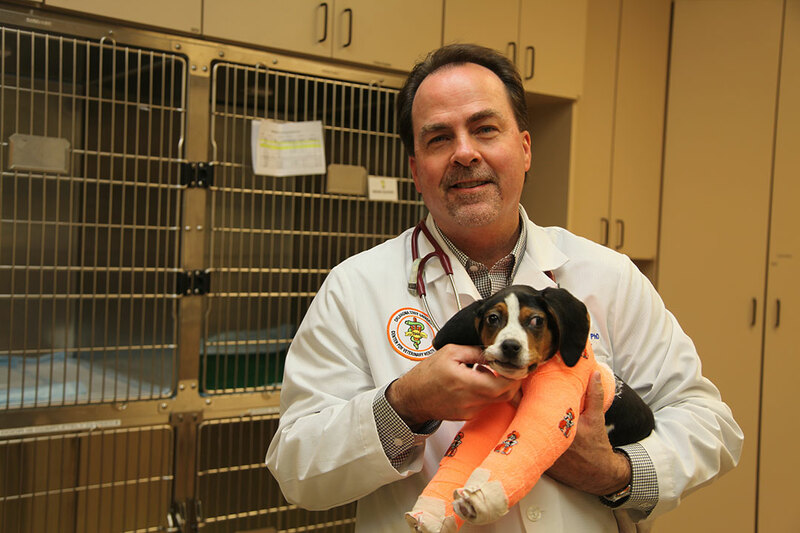 The 8-pound puppy had elbow surgery Jan. 9 in Stillwater. The widespread attention the surgery has received has surprised Clary. Read Physical Rehabilitation for Veterinary Practices.